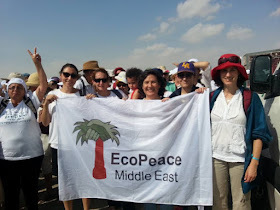 EcoPeace Middle East (formerly Friends of the Earth Middle East) is a unique organization that brings together Jordanian, Palestinian and Israeli environmentalists. Its primary objective is the promotion of cooperative efforts to protect a shared environmental heritage. Today, EcoPeace Middle East is enjoying an unprecedented expansion of global awareness as the participants of the Dead Sea Swim come closer and closer to their goal of swimming 16 km across the Dead Sea between Jordan and Israel [see above]. 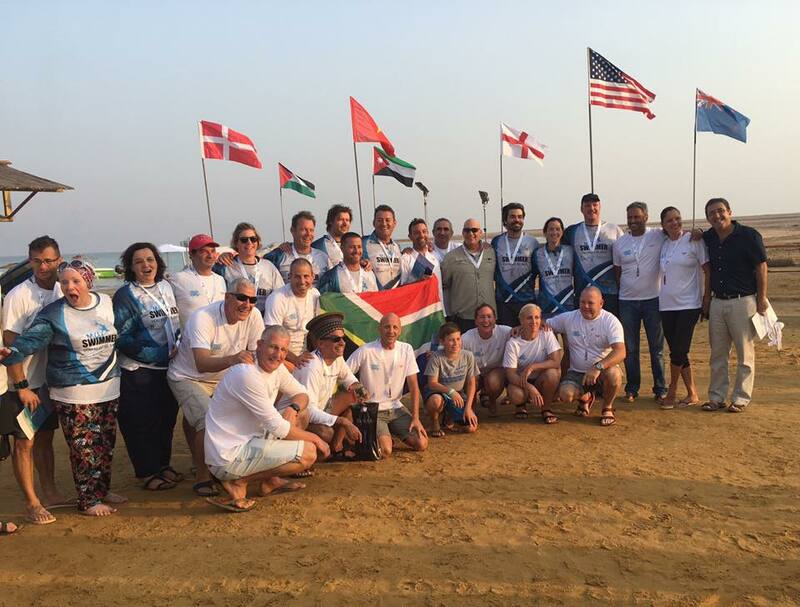 Evan Feldman, Jean Craven, Juandre Human, Karon Marx, Neil Macaskill, Herman van der Westhuizen, Hylton Lokitch, Gita Osrin, Ram Barkai, Abigail Thomson, Udi Erell, Adina Faur, Kimberley Chambers, Avishag Turek, Ori Sela, Oded Rahav, Ben Enosh, Doron Amosi, Munqeth Mehyar, Brooke Penney, Dov Litvinoff, Nick Papageorge, Samuel Moran, Luc Chetboun, Erez Amir, Yussuf Muhammad Ahmad Matari, Olfat Haider, Rachel Sharon Lane, Qusai Abdullah khalaf Al-louzi, Ahmed Khalil Ahmad Murad, and Jackie Cobell are swimming in groups and with protective masks in one of the highest risks marathon swims in history. Their progress is shown on left. EcoPeace Middle East was originally founded as "EcoPeace" on December 7th 1994 in Taba, Egypt. "We came about as environmental non-governmental organizations from the Middle East met with the common goal of furthering sustainable development and peace in their region. For the first time ever, Egyptian, Israeli, Jordanian and Palestinian environmentalists agreed to join forces in an effort to promote the integration of environmental considerations into the regional development agenda." And today, many others from around the world have joined them. As the team finishes in the early afternoon in the Dead Sea, global online observers of their progress can visit here. For additional information about this event, visit here. 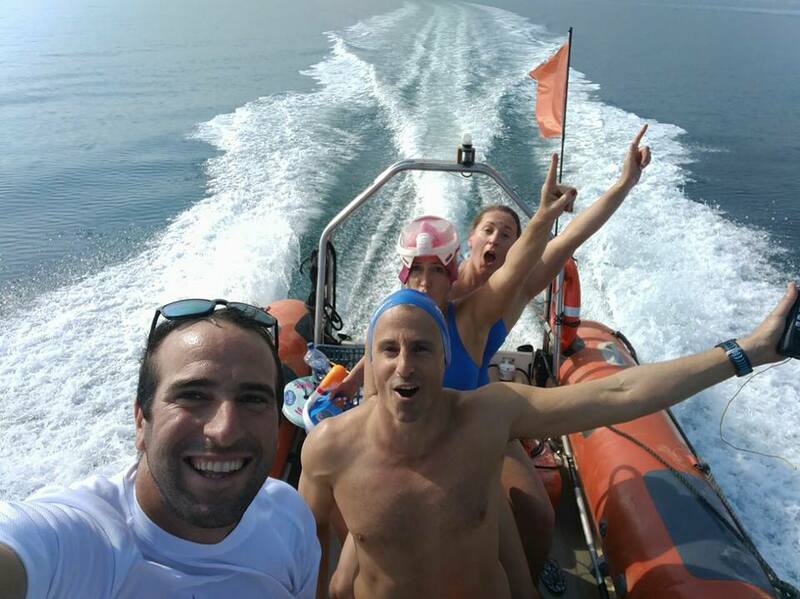 South African cold water veteran Ram Barkai found himself in an uncomfortable element - very warm water - that he rarely sees as the world's most prolific ice swimmer. "We're done. 17 km and I am close to self combustion. It was awesome. Now it is time to desalinate with some ice and Taliskar."